The British Council for Offices Northern Awards dinner at the Principal Hotel in Manchester was momentous for two reasons. First it was the first event as northern chair for director Phil Doyle and second our scheme for Halton Housing Trust’s (HHT) new HQ at Widnes was named best Corporate Workspace. 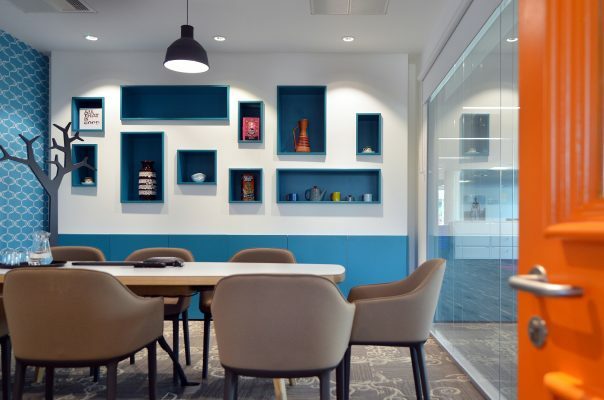 HHT were a great client, working closely on the brief to help us design a new building that would fit their needs and exceed expectations of the staff who work there. Their delight that the building they view as a ‘home from home’ is now officially the best workspace in the region was wonderful to see. As chair Phil got to present his own special award and recognised the work of Living Ventures for the extra effort displayed at all their sites to engage and improve the location. The Tim Bacon Foundation was also the charity of the night.